Dinosaurs have been trending for, like, millennia! 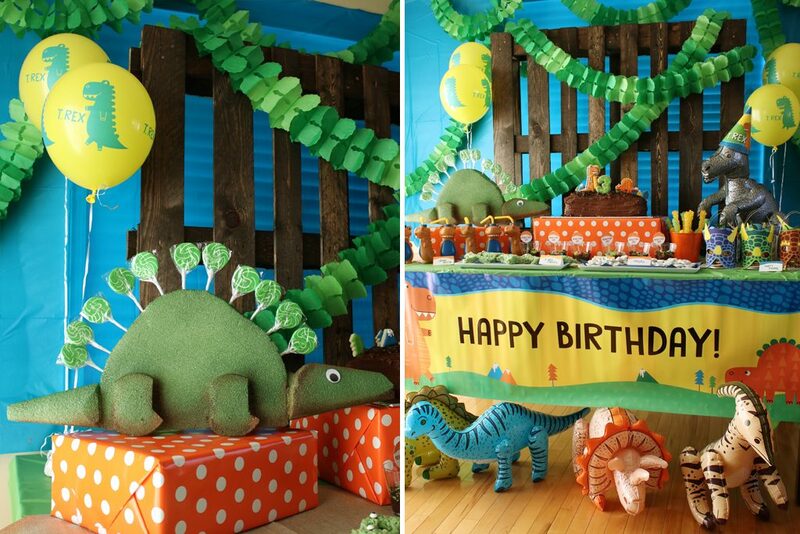 So, of course, it makes sense that your kids want to have a Dinosaur Themed Birthday Party! But when a party of potential paleontologists takes a break, they might be wanting more than just cake. Set up a dino dessert buffet! 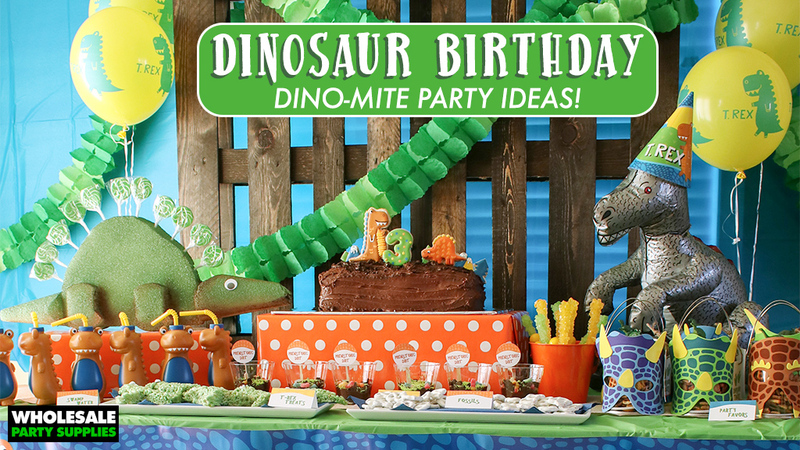 Consider filling it with lots of dinosaur themed desserts, adorable sippy cups to look like your favorite dinosaur breed and candy displays! Add a functional centerpiece that will stop them in their tracks. 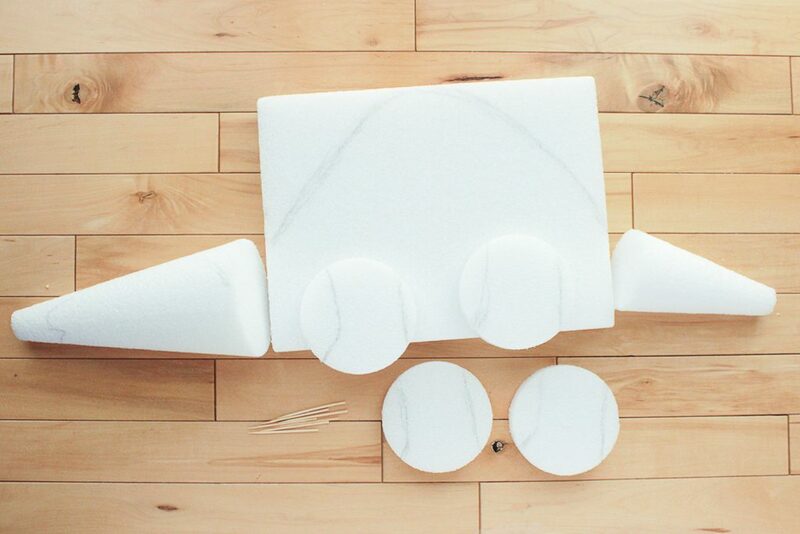 See how to turn an assortment of Styrofoam shapes into a dinosaur lollipop stand to hold your sweet treats! This post was written, styled and shot by Tara at Spot of Tea Designs. Discover so many more great ideas over on her blog! 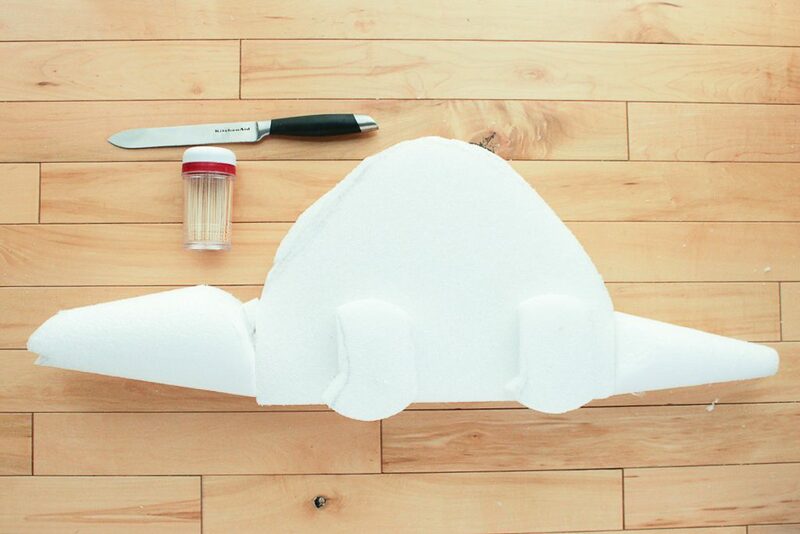 First, lay out your Styrofoam shapes to create your basic dinosaur shape. Use a pencil to draw any marks as guides then use a serrated knife to shape the pieces further. To assemble the pieces, first, insert toothpicks then apply hot glue to the surface before sticking together. The toothpicks will help to hold the joints in place. 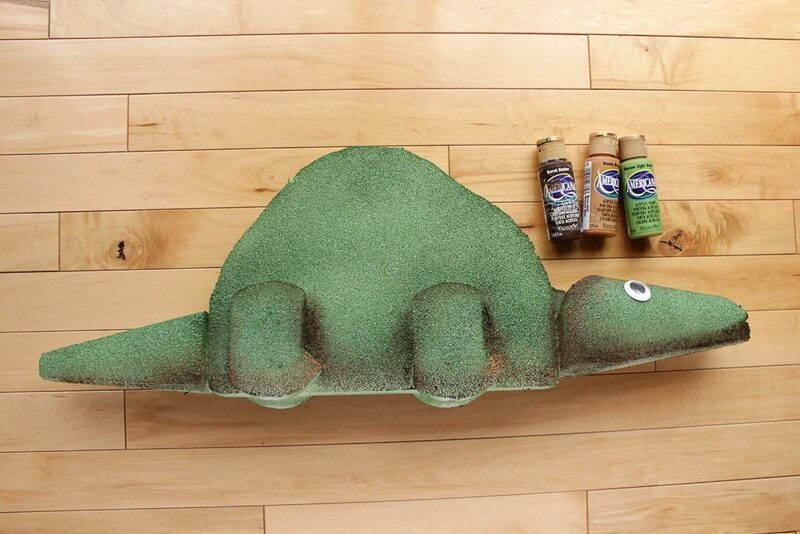 Cover this dinosaur shape with light coats of spray paint. 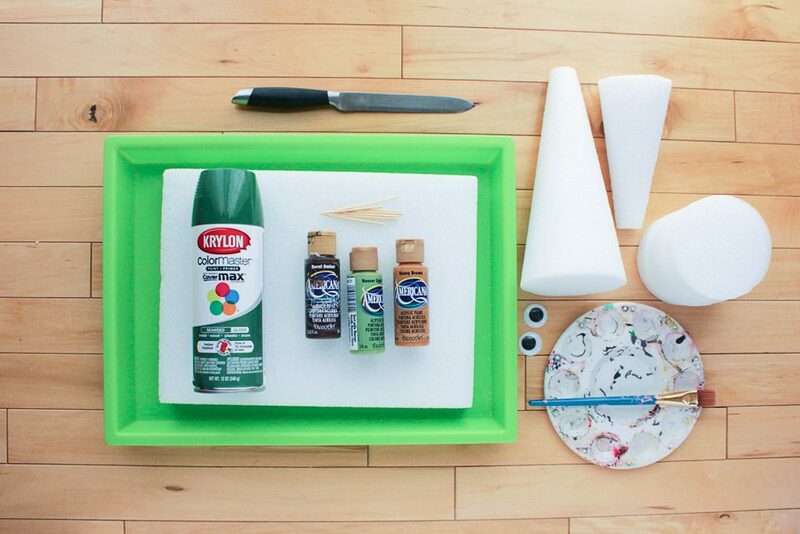 If you choose, use acrylic paint to create slight shading on your dinosaur lollipop stand. Glue two wiggly eyes on the front to give your little guy some character! 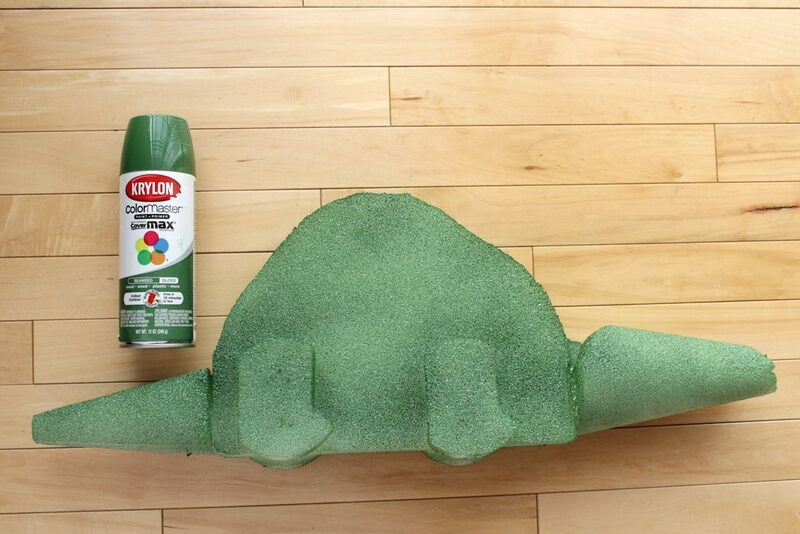 On the big day, insert lollipops along the spine of the dinosaur to create spikes to mimic a stegosaurus look. 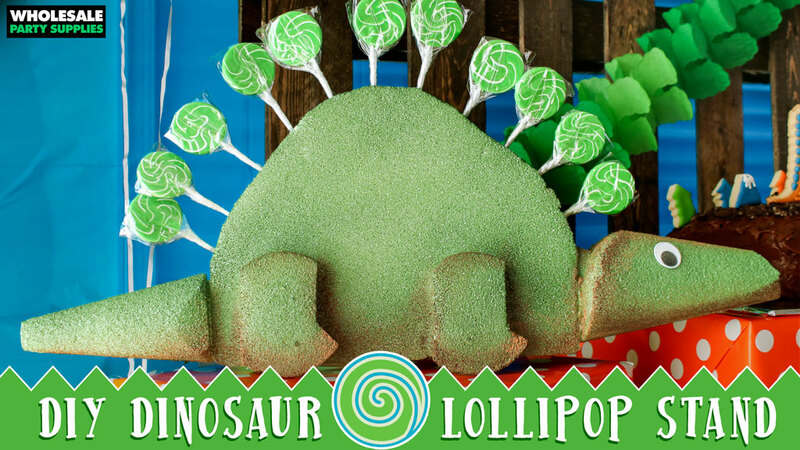 Display this Dinosaur Lollipop Stand on your dessert table surrounded by other dinosaur-themed desserts and special treats!